The Top 3 Hybrid Muscle Cars - Muscle Cars Zone! There is nothing more desirable than a muscle car, but the auto industry is undergoing a huge change right now with more and more motorists making the switch to hybrid or electric vehicles. The muscle car market has clearly taken notice, as there are a few superb hybrid muscle cars for eco-conscious motorists who love traditional muscle cars currently on the horizon. Muscle cars have famously never been particularly eco-friendly, but this is all changing and the stunning Volvo Polestar 1 is one of the best examples of a hybrid muscle car. Designed by their high-performance team, the Polestar 1 utilises two powerful electric motors with a conventional 2-litre petrol engine which (combined) proved the vehicle with a staggering 600 bhp. It also has an electric range of 93-miles for those that want an entirely electric experience. Crucially, it features a classic design that any muscle car enthusiast will love. When you think of classic muscle cars, the Ford Mustang will be one of the first to spring to mind. 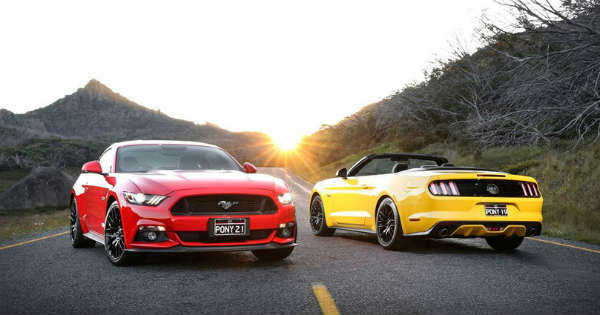 Although an iconic vehicle, the Mustang has always been known as a gas-guzzler until now. This will not be the case in the near future as Ford has announced a hybrid version which will be available in 2020. It retains the unmistakable thrilling driving performance and Ford have promised V8 power with this anticipated new vehicle. Although it may not be a traditional muscle car, the RS5 is a superb sports coupe with 444 horsepower and a 2.9 litre V6 that is taking the industry by storm. It is also not your average hybrid with Audi`s unique “micro-hybrid” technology which it is rolling out across its range. This, essentially, allows for a more efficient stop-start feature which is an area that has frustrated hybrid car owners to this point. It is a great looking car that will be pleasing to fans of muscle cars and the driving performance is scintillating. Cars with this much tech can be prone to faults, so it is always wise to take out an extended warranty from a specialist like ALA if the original manufacturer`s warranty has expired. It is an exciting time in the muscle car market as there are many excellent hybrid models in production which show that the market is moving with the times. Those that enjoy traditional muscle cars will continue to be able to do so but also benefit from driving an eco-friendly vehicle.